Groceries. I hated getting them. Not because of the trip, but because that my mom would always call when I was at the checkout and ask for more things. It wouldn’t matter that I call her 3-4 times before to ask what she wanted. She’d always call without fail when half the cart was empty onto the conveyer belt. I closed my eyes and let the hot water go over my skin. Hopefully the ride won’t be too bad this time. The face of an Asian woman appears in mid-air in my shower, in the middle of a holographic screen. “But the MAP and overdrive lock-ups haven’t been swapped yet! What if you’re stranded again like a couple of weeks ago?” Ryoko sputters. The screen disappeared as I shut the water off. Hopefully that’s 10 minutes less I’ll have to spend. I get dressed, grabbing my knapsack and pulling on my leather jacket. I head out to the hangar. It was empty, a warm air blowing in from the late spring afternoon. I could see clouds in the distance from the pending storm. My menagerie of a work crew were scurrying around, mainly consisting of friends I met abroad. An F-16 sat in the corner, collecting dust and half-covered with a tarp. An older blonde woman joined me in stride, dressed in Catholic-esque robes and a huge fez hat. “Lemme guess…someone didn’t like the last job I did.” While she did keep my affairs in order, she often was the bearer of bad news. “Quite the contrary. I have your mother’s grocery list.” She poked at a tablet in her hand. Her voice was aged and had the hints of someone with a more cultured upbringing. The smell of exhaust reached my nose. I smiled inwardly; Ryoko had her running ready. 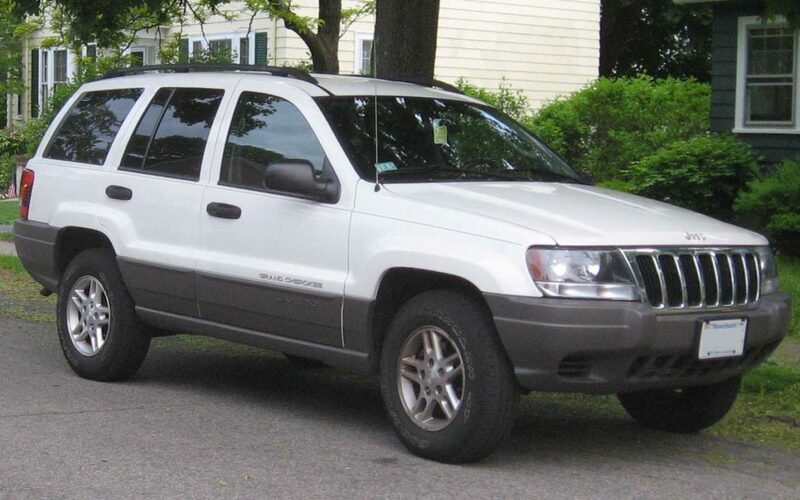 In the middle of the hangar sat a 2003 Jeep Grand Cherokee. The dull silver paint had a few scratches, a venting duct over the exhaust. No less than 30 diagnosis wires hung out from the open hood, running to two computer stations. A large fuel hose stuck out of the gas tank. A blue-skinned girl was at one of the computers, fingers flying over the keyboard. Three horn-like appendages curled back out of her head, form clad in a white lab coat and a business blouse and skirt. Upon seeing me, she rushed over, clipboard in hand. “Tash!” She bobbed excitedly, shoving the clipboard to me. I quickly scanned over the notes. No Class-2 error codes. Erratic drive engagement, especially in 2nd stage. Refusal to engage final drive systems determined to be a computer issue. 2nd induction port on governor pressure sensor clogged to mechanical failure. Possibility that all electronic components in TRAN-5 are compromised needs to be replaced. Suspect TPS module to be faulty as well. All parts on order. “But, it can get damaged if these components fail completely.” My advisor noted. “Yeah, true.” I stared at Brittanica’s aged hull, making a calculated decision. Will she last the distance? Was a family grudge worth being stranded out in the middle of nowhere? “Nalth’a, anything about the valve body? Did the crew say anything about that?” I handed the blue girl back the clipboard. She glanced back at one of the computer screens, replying in heavily accented and broken English. “All good, yes!” She nodded eagerly. My advisor took my bag, throwing it in the backseat. I shed the jacket, climbing into the familiar seat as I knobbed on the A/C, linking my comms device to the onboard system. Nalth’a shut the door as people yanked cables and hoses free, clearing my path. The hood was slammed shut. I tapped the gas pedal, watching the tachometer go up before returning to idle. I sidled more comfortably in my seat, queueing the 24th Street Sounds album to start playing. That barely got 12 seconds in before I was interrupted by Ryoko over my comms. I barely had remembered it. The last repair didn’t fix it? My foot that was on the brake was about to come off. I could deal with a faulty drive system. But eating up as much fuel as a 53-class freighter? I looked out my driver’s side window. Dione was making the cross motion with her hand in prayer. Nalth’a had hands folded, nodding to me for my next move. I pulled the stick back to engage drives. There was a loud clunk, lurching forward as the shaft was locked into place. That was a lot rougher than usual. I looked back at my technician in worry. Nalth’a and Dione were staring intently at the screens when the blue girl looked up, jabbing a thumbs up for go. I nodded to the technician, saluting with two fingers as I mashed the gas, roaring out into the open.